Want to have a VIP elevator? Want to have a private elevator? You can solve all above of problem. Want to order elevator&escalator parts? Come A-FLY, GET ALL YOUR RIGHT PARTS! Since 1999,About 20 years in elevator trade. The elevator can be used by IC card,.If you have no IC card the elevator can not be used. Elevator special IC card management system is a high-tech product incorporated advanced IC card technology and micro-processor technology. Its main purpose is to manage and control usage of the elevator. Only those passengers with special IC card can operate elevator. It effectively prevents elevator from being used by those uninvited or those who are not authorized. It provides building safety protection with high technology. 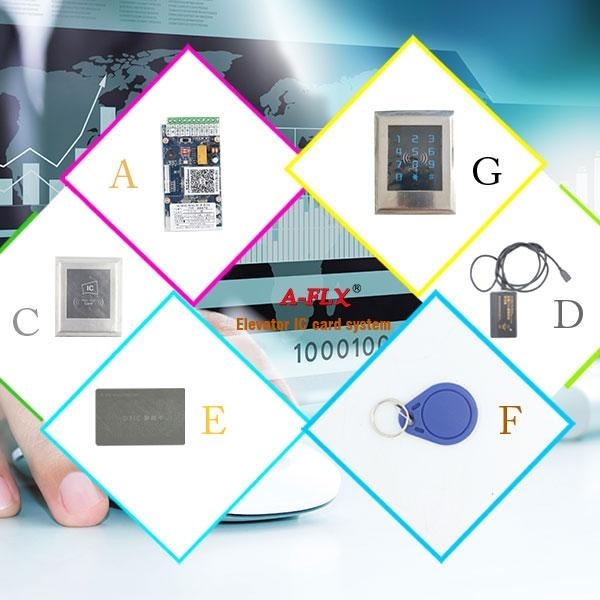 Also it provides building management convenience in terms of time, expiration data and usage fee through computer IC card reading. 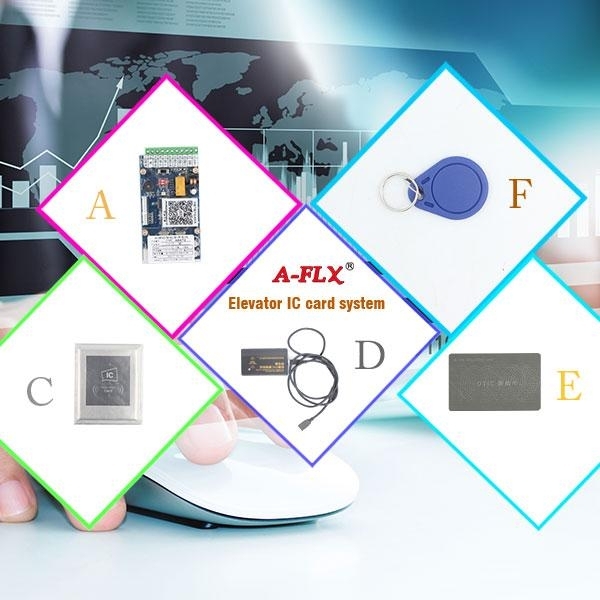 The IC card is especially suitable for residence, hotel and office building. 1. Advanced technology, high reliable. 6. Independent system management function. A-FLY DTIC intelligentized management system is the floor control equipment that connects with the operation panel in elevator car or call box outside of elevator. 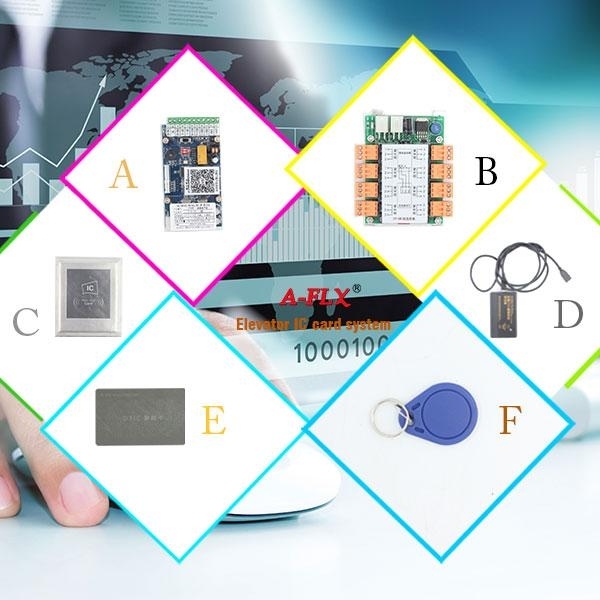 The hardware system is composed of A-FLY DTIC director (call it main-director simply), A-FLY DTIC floor selector (call it floor selector simply), and code keyboard, special card for operation. Main-director has the function of limiting IC card service time, service times, and service floors (The main-director need to work together with floor selector), setting main-director using code (need to work together with A-FLY DTIC management system), responding to the signal of eliminating the elevator for being controlled or disconnecting with elevator automatically when the main-director is wrong, resuming elevator original keyboard function and communicating with elevator mainboard. Each main-director can be used to support eight floor selectors, and each floor selector can control eight floors. Function: Control the usage right of elevator, and only car-holders can use the elevator. Function: Set the IC card service times, service time and service date. Function: Set IC card service times, service time and service date.Add the floor selector function, any floor can be controlled alone. Users can reach the selected floor after reading IC card.Add the limitation function for floor service time. 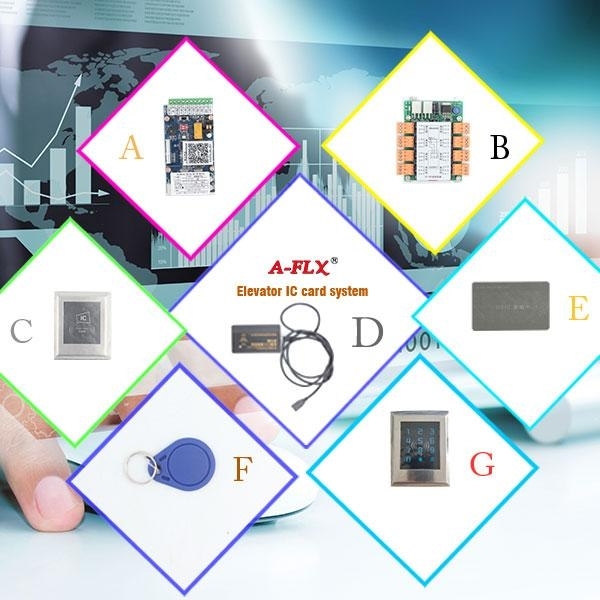 You can set the service time at will to free or use IC card control system, and carry or eliminate floor-limited function immediately in special time. Function: Set the service times, service time and service date. Add floor selector function, any floor can be controlled alone. And users can reach the selected floor after showing and reading IC card.Add the limitation function for floor service time. 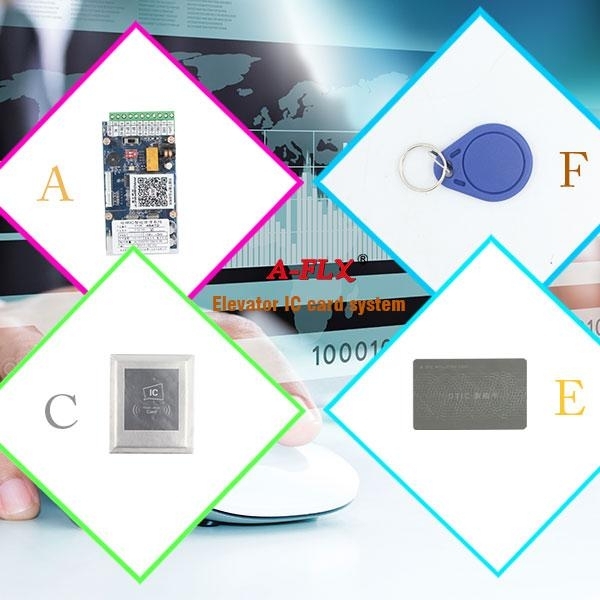 You can set the service time at will to free or use IC card control system, and carry or eliminate floor-limited function immediately in special time.Add the code keyboard function. Users can set IC card code, and input IC card code directly to use elevator at the special time of without IC card.